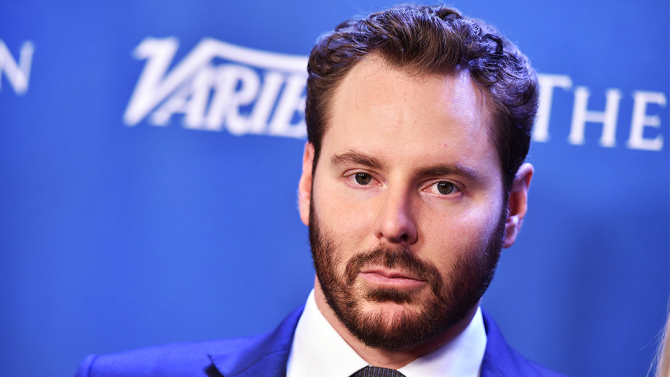 Sean Parker, who created Napster, was involved with the initial launch of Facebook, and was masterfully portrayed by Justin Timberlake in the film The Social Network, is involved in a new venture regarding home movie viewing. His new company, which is called the Screening Room, plans to offer day-and-date releases (i.e. the movie can be viewed at home via video-on-demand on the same day it is released in the theater) of new studio films. Read about it on Variety.com here. First of all, I am imagining Justin Timberlake closing this deal in a room full of theater executives. I’m going to call Sean Parker JT from now on. Second of all, JT is being smart in that he is offering a cut of the profits to movie theaters in exchange for them not going to war with the movie studios. Research suggests that a pure day-and-date model for all theatrical films (not just small, indie films as it exists currently) would be disastrous for movie theaters. So JT is trying to get the theaters on board. In fact, rumor has it they’ll get about 40% of each rental. Here’s how it works. You pay $150 for a box that plays the movie and hooks up to your home entertainment system. Then each 48 hour rental is $50. Yes, but it was Star Wars. Paying an additional $35 so I could see it on a big screen with a room full of excited fans was worth it. I wasn’t going to experience Star Wars for the first time on my home television. We’ll wait until it comes out on Netflix. As my wife says, “Do we really need to see that on the big screen?” My research suggests people prefer seeing big-visual, exciting, blockbuster-type films in the theater even when they have good home viewing options. $15? $20? That might be low enough to make it interesting. And here’s where it gets interesting: not big budget “experience” movies like Star Wars, super hero shows, or The Rock shooting machine guns. It’s smaller budget, non-action films that would benefit. It already works for indies, who make most of their money through day-and-date VOD vs. theatrical exposure. Romantic comedies, regular comedies, dramas, etc. could all benefit from a lower price point that makes this viable for middle-class audiences. These are the types of movies that you don’t need to see on a big screen. People will wait for a movie they really want to see to come to VOD or Netflix if it’s not big-screen worthy. BUT, give them an easy way to access that movie on opening day for a reasonable price, and the game might change. And this could be GREAT for movie theaters. Yes, 40% of $50 is a lot more enticing than 40% of $20. But when you consider that people are renting movies that they never would have gone to see in a theater, it’s a way for the theaters to make money they never would have seen. Theaters are afraid that day-and-date will keep people out of the theaters. What they don’t understand is that HDTVs, Netflix, and blu-rays are already keeping people out of the theater for many, many films. This is a way for them to get a cut of money they never would have seen otherwise. This entry was posted in Communication, Convergence, Movies and tagged day-and-date, film distribution, home video, Justin Timberlake, movie screening, movie theaters, Netflix, Sean Parker, The Screening Room, VOD. Bookmark the permalink.